We are a modern, smaller family-run European level camp in a beautiful, quiet, natural setting. 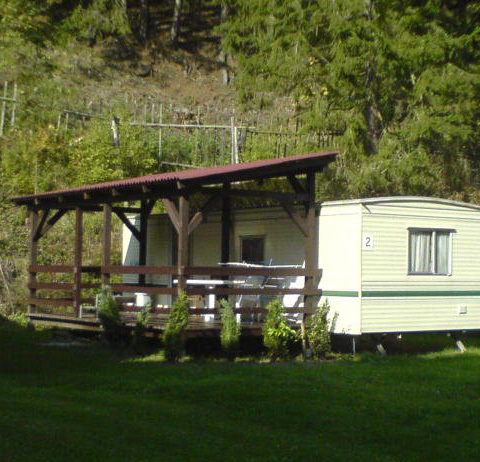 We provide accommodation in equipped cottages, mobile homes, dormitories and places for tents or caravans with electrical connections. 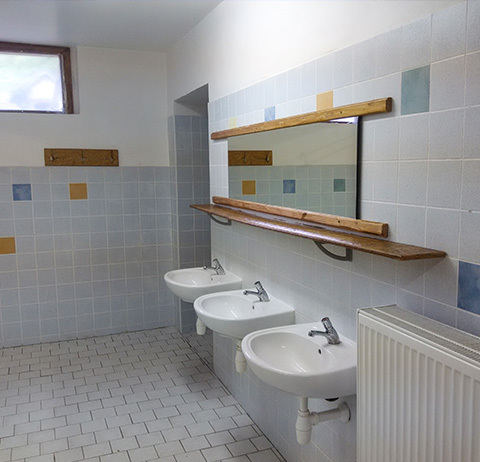 Modern heated sanitary facilities, Cleanliness and neatness of the area, keeping the peace of the night, many interesting excursion points in the area together with a high level of provided services guarantee a satisfied holiday. 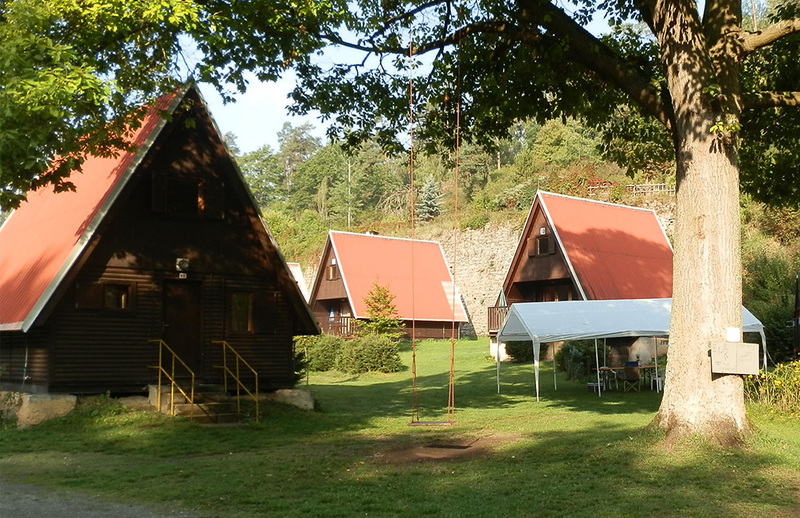 Camp Karolina is situated in the middle of the virgin nature of West Bohemia, in one of the least populated parts of the Czech Republic on the border of the protected landscape area Slavkovský Les and Český les. 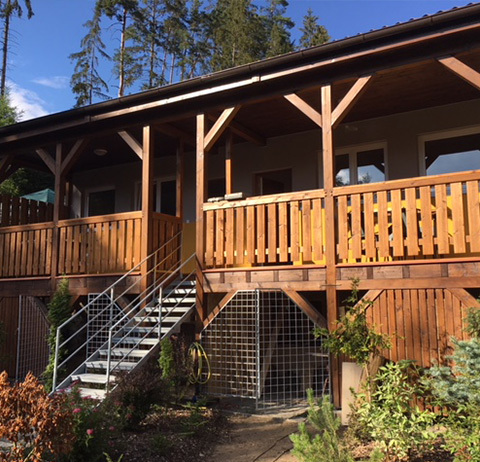 You can find us in the picturesque valley of Říčka Tichá, not far from Tachov and Planá. 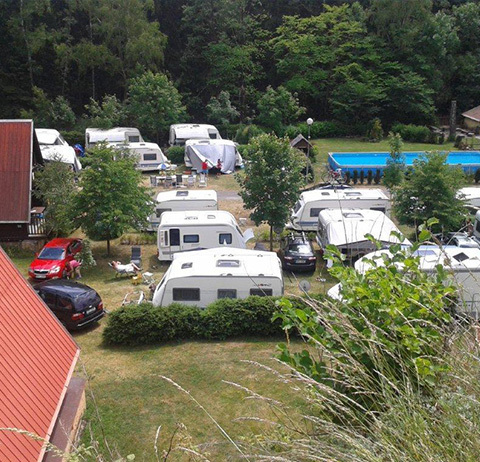 The campsite is surrounded by wooded hillsides, which together with the flowing river give your holiday a unique atmosphere. 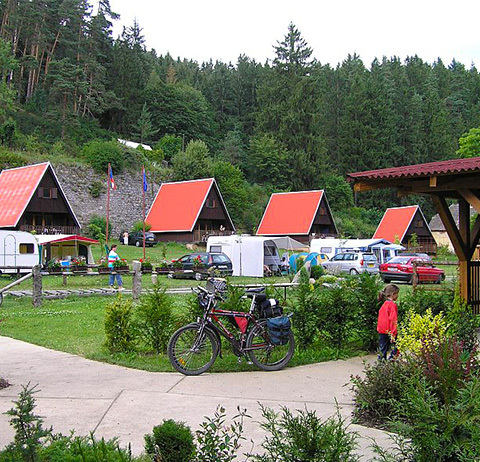 Camping Karolina is also an ideal starting point for visiting the entire West Bohemia spa area. Nearby are Marianske Lazne and within easy reach by car also Frantiskovy Lazne and Karlovy Vary. 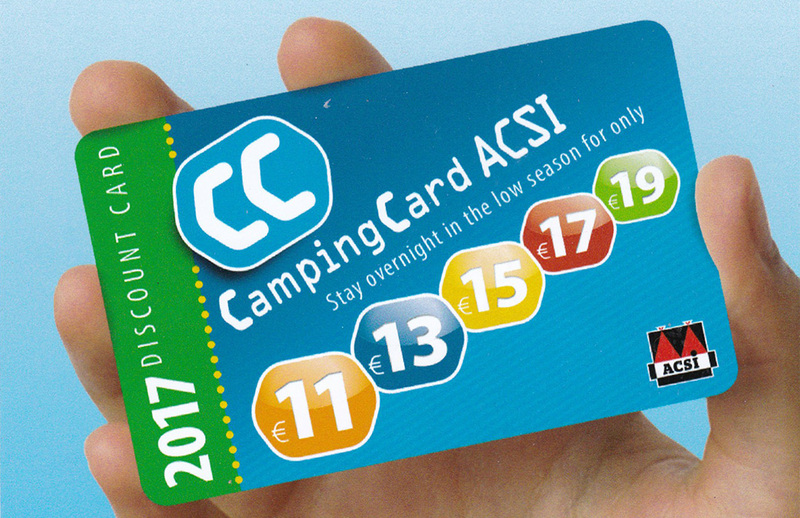 At the Karolina campsite we accept an ACSI discount card. Applies to Camping Stays (tents, caravans, motor homes) only in low season. For more information, visit the Camping Card. Dobrý den,stravil jsme v kempu rodinou dovolenou.Všichni včetně dětí 3,5 let jsme si to užili MAX.spokojenost.Mohu jenom doporučit!!! Dobrý den, strávili jsme zde prodloužený cyklovíkend 22.-25.5. 2014. Maximální spokojenost s ubytováním i veškerým zázemím kempu a také s okolní přírodou. Určitě se vrátíme. Click confirm "I'm not a robot"!